July 21 was a very special night for Victor Scouts. It’s not every day a new Scout leader is invested. It’s not every day 4 new scouts are invested. And it’s very unusual indeed to have 4 blue cords presented. 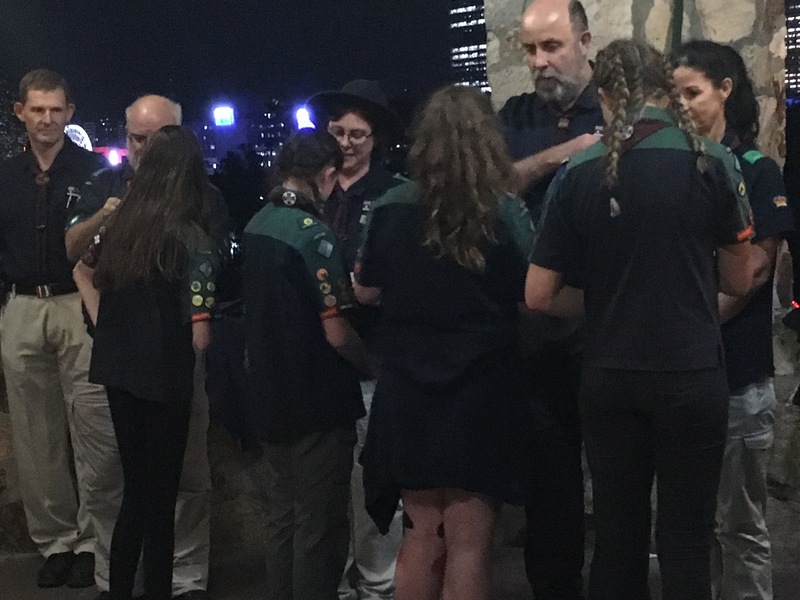 So when it all happens in one night on top of the Kangaroo Point cliffs with a beautiful backdrop of Brisbane at night, it’s a very special night. What a memorable occasion – congratulations to Sugeema, Seraphina, Kate, Ben, Tiernan, Laura, Ellie, Livi and Tash.